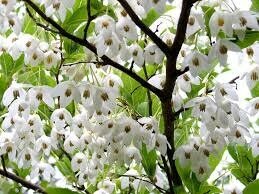 Benzoin is a balsamic resin (Styrax Benzoin) rich, warm, slightly woody, creamy vanilla resinous scent. Blends well with amber, bergamot, coriander, frankincense, juniper, lavender, lemon, myrrh, orange, patchouli, and rose. Benzoin is used as an essential oil, fixative in perfumes, for incense and much more. This Benzoin is a fantastic spicy, vanilla honey scent. Package arrived safely and quickly. Thank you. This is my first purchase of the Benzoin & definitely NOT disappointed! Everything came came well protected & shipped fast.